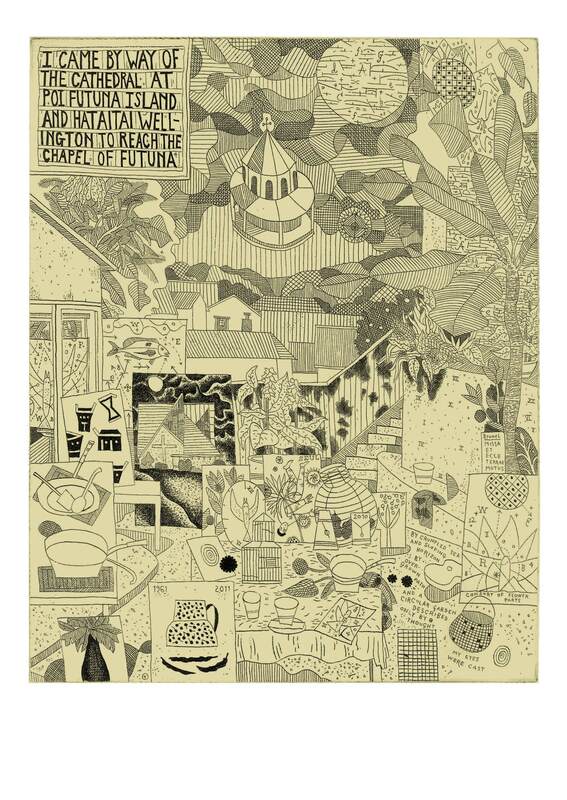 This etching was inspired by Futuna Chapel where, at the 50th anniversary, Gregory spoke and read, for the first time, his recently composed poem, Ode to Futuna. Gregory has generously given the Trust these etchings to raise funds for the ongoing restoration of the Chapel. There are eighteen signed prints left of the edition of 30 and are available from the Trust unframed for $ 600 incl. GST. With each etching sold the Trust will present the purchaser with a signed copy of Gregory’s latest book of poetry, Beauties of the Octagonal Pool, individually signed and numbered by Greg complete with a unique title page drawing. 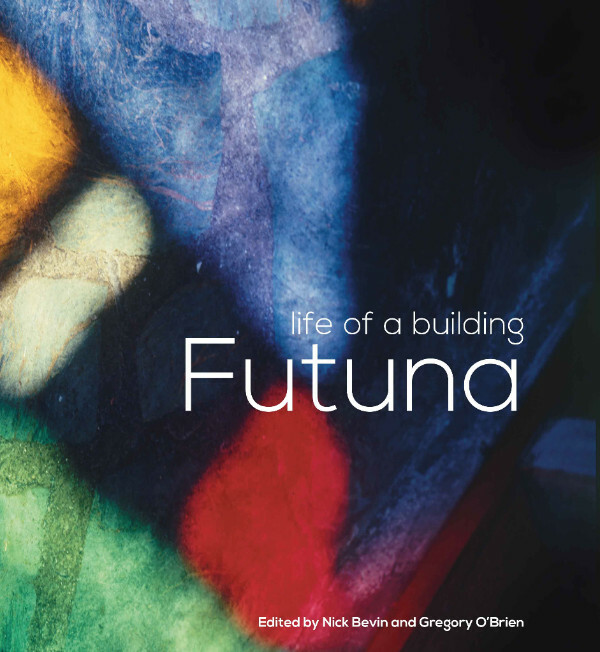 This book contains Gregory’s poem, Ode to Futuna.